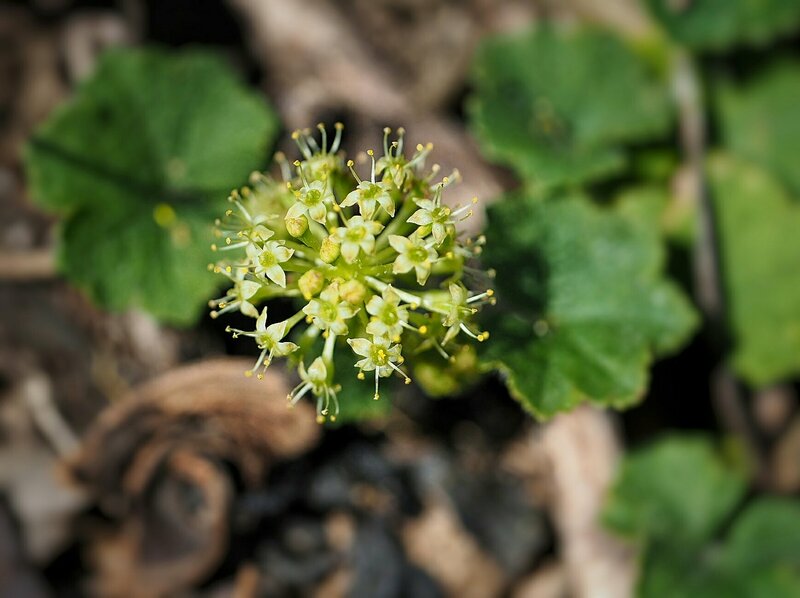 It’s a lovely little ground-hugging plant, with leaves like geranium and a subtle flower ball made up of dozens of tubular flowers, that grows in open woodland. The penny only dropped much later, when I went to my favourite identification book of plants for this area, Birds and Plants of the Little Desert: a photographic guide by Ian Morgan, Graham Goods and Maree Goods (2014), and discovered that this plant’s common name says it all: Stinking Pennywort. I kid you not! As I continued to visit areas where this charming little plant (scientific name Hydrocotyle laxiflora) grew over the coming weeks, I realised that the smell was more like rotting vegetation in pond water, and grew accustomed to it, if not actually fond of it. Olympus EPL7 with Panaleica 45mm macro.